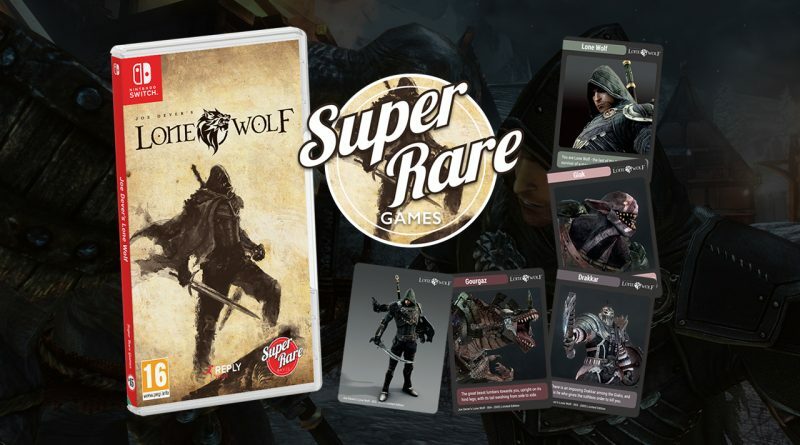 Super Rare Games has announced their partnership with Italian developer Forge Reply to release a physical edition of Joe Dever’s Lone Wolf for Nintendo Switch. Limited to 4,000 copies, pre-orders for the physical Switch edition will open on April 11, 2019 exclusively at Super Rare Games for $32.54 / £29.99 / €33.99. Joe Dever’s Lone Wolf is based on the “choose your own adventure” gamebooks of the 80s, written by worldwide famous author Joe Dever. Mr. Dever was involved personally in the development, writing the story and driving the work of the whole team with his inspiring passion. Lone Wolf, the last of the order of the Kai Lords, must face yet another threat posed by the dreaded Darklods. No-one has heard from the border village of Rockstarn in weeks, and Lone Wolf travels to the very frontier of the Kingdom of Sommerlund to find out what happened. He will find challenges and adventures awaiting for him, memorable characters and meaningful choices to make as the story progresses. Epic battles will take place at the wild frontier, deep down in ancient ruins and even across the border, trespassing into the terrible Darklands. Joe Dever’s Lone Wolf presents the player with an enhanced gamebook that includes classic RPG elements, such as an interactive world map, quests and merchants to acquire and upgrade powerful battle gear. When the moment for action comes, battles are played in dynamic turns, with abilities that range from melee to ranged, to the mighty magical attacks of the Sommerswerd, the legendary Sword of the Sun. A unique game experience, and a great fit for the Nintendo Switch! A complete story in four acts, written by Joe Dever as an official episode of the saga. Deep character customization and combat system. Lockpicking sessions and geometric puzzles (the Shanti Cube). Non-linear narrative with multiple choices.